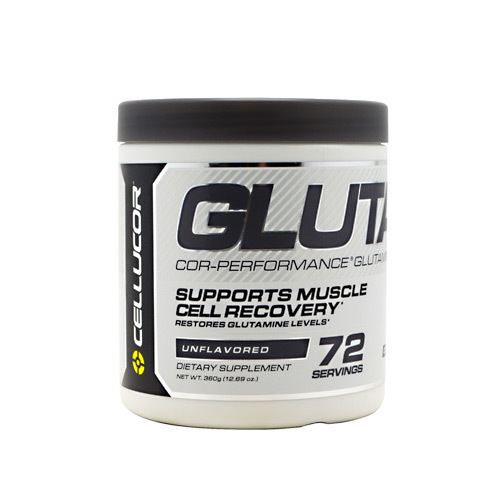 Cellucor Cor-Performance Glutamine is stackable with other workout supplements for better results. Advertências: THIS PRODUCT IS ONLY INTENDED TO BE CONSUMED BY HEALTHY ADULTS, 18 YEARS OF AGE OR OLDER. Do not use this product if you are pregnant or nursing. Before using this product consult a licensed, qualified, health care professional, including but not limited to, if you are taking any prescription drug or over-the-counter medication, or have any existing medical condition. Immediately discontinue use and contact a medical doctor if you experience any adverse reaction to this product. Discontinue use 2 weeks prior to surgery. Do not use if safety seal is broken or missing. Store in a cool, dry place. KEEP OUT OF REACH OF CHILDREN. Settling may occur. Notas: Stackable with other workout supplements. Recomendações de uso: Use only as directed. Take one serving (1 scoop) of COR-Performance Glutamine mixed with 8 fl. oz. of cold water or other beverage of choice after training up to two times per day.